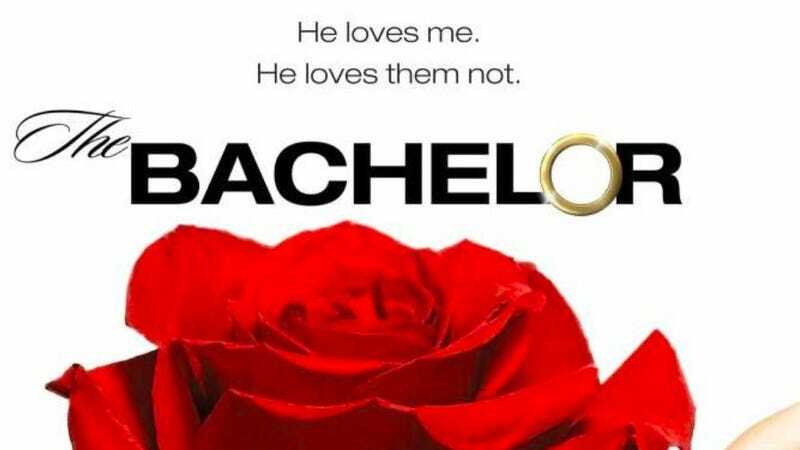 Apparently the 4278948th season of The Bachelor premiered last night, judging from the fact that EVERYONE IS TALKING ABOUT IT ALWAYS. Why are so many people still fascinated by the schlocky reality TV dating game show? Okay, so I haven't actually watched a full episode of The Bachelor in nearly a decade, because I get too bored, but from what I've gleaned from fans/my mom, the best part is gawking at how dumb some of the contestants are. But aren't they all dumb? What's the point of differentiating? I love gossip — it's embarrassing how much I love gossip, I have to actively work hard at not caring about the intricacies of other people's lives — but why gossip about calculated famewhores who want you to gossip about them for their profit? Where's the fun in that? Of course, you could argue (along with Rookie's Hazel, who makes a very convincing case) that no one should have to call an activity/cultural phenomenon they enjoy a "guilty pleasure" because everyone should unabashedly like what they like without feeling judged. But you know what I mean. My own obsessions that fall under that category include crappy YA fiction (I brought home a bunch of books when I went home for the holidays but ended up rereading some old copies of the ghostwritten Gossip Girl spinoff It Girl [Jenny goes to boarding school!] instead), obsessively hate-reading personal blogs and Millionaire Matchmaker. Tell me yours.